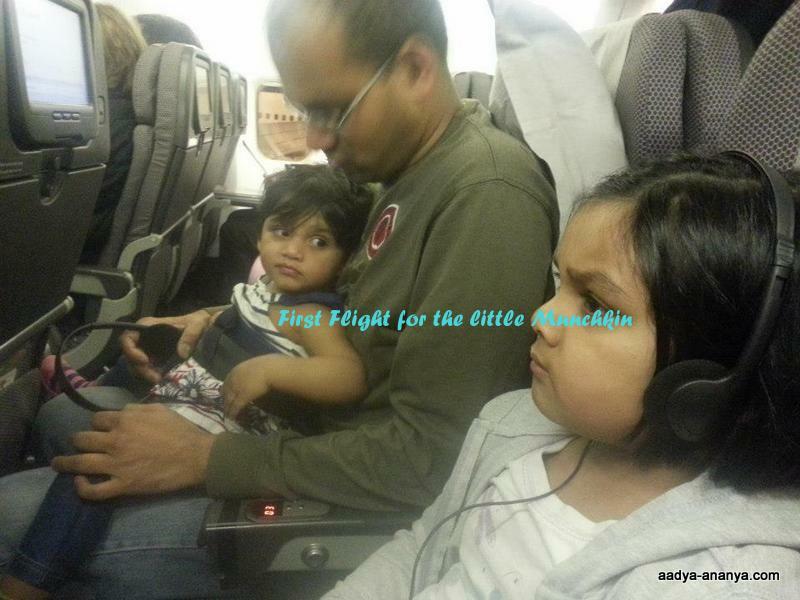 Ms.Ananya went on the plane for the first time,when we flew to Brisbane! Both SD and I were quite nervous,this being our virgin flight as parents of two…we were both nervous but had no game plan to follow..as always we decided to play it by the ear. Ananya was her usual animated self..but after a while,she started getting tired..we took turns walking around the airport with her.Did I mention that the flight was delayed? By the time they called our flight,Ananya was just about to fall asleep.When we got on the flight,she was woke up,ready to check out her new surroundings. Take off and landing was pretty smooth…I nursed her both the times and she slept through most of the flight..I even managed to watch a movie! !She woke up,as if right on cue,just when the stewardess served,us our meals. Aadya watched cartoons on Her screen and was really good.It was so cute to see her concentrating on the safety instructions!!! Previous Post 1 more Sleep..
thanks:) yes it was really nice..